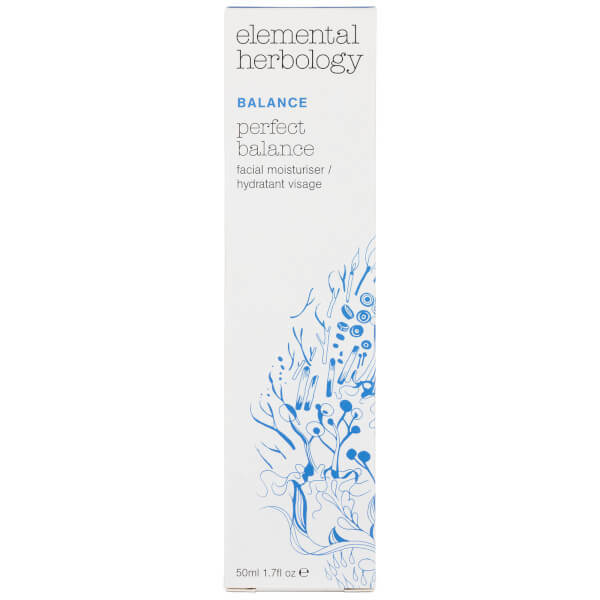 Revitalise and replenish skin with the Perfect Balance Facial Moisturiser from botanical skincare brand Elemental Herbology. 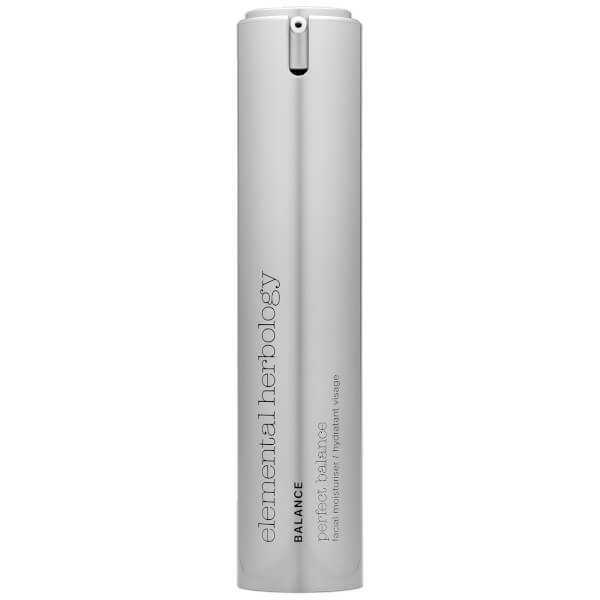 Utilising advanced scientific technology alongside natural ingredients, the face cream is rich in vitamins, minerals and essential oils. Patented processes including Liftonin® and Sepitonic™ M3 work to re-energise and improve tone, whilst bio-actives of Apple Serum and Algae Extracts help stimulate cell renewal and encourage natural collagen production, minimising the appearance of fine lines and wrinkles. 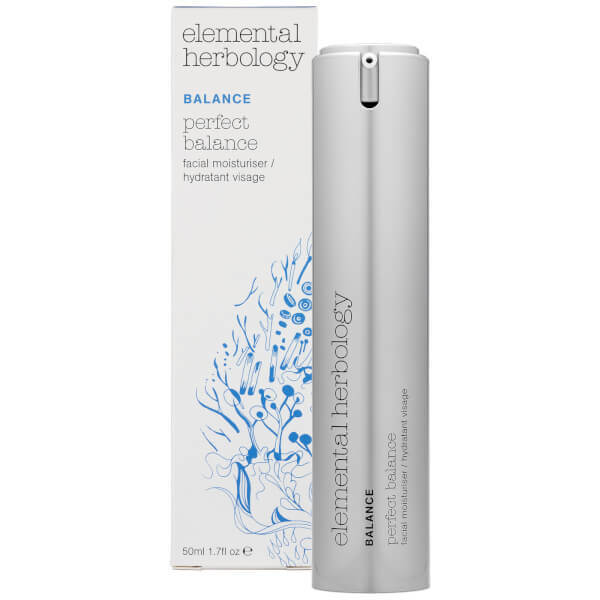 Fortified with Green Tea and Olive Squalane, it’s bursting with antioxidants to combat environmental aggressors, plus added SPF 12 helps prevent premature signs of ageing. Expect a hydrated and younger-looking complexion with a renewed radiance. Apply moisturiser every morning from décolleté to forehead. Aqua*, Ethylhexyl Methoxycinnamate, Propylheptyl Caprylate, Butyl Methoxydibenzoylmethane, Glycerin*, Butyrospermum Parkii (Shea Butter)*, Hydroxyethyl Acrylate/Sodium Acryloyldimethyl Taurate Copolymer, Squalane*, Phenoxyethanol, Oryzanol*, Capryloyl Glycine*, Cetearyl Alcohol*, Terminalia Ferdinandiana Fruit Extract*, Inulin Lauryl Carbamate*, Cucurbita Pepo (Pumpkin) Extract*, Polysorbate 60, Linalool*, Potassium Sorbate, Tocopherol*, Lavandula Angustifolia (Lavender) Oil*, Ethylhexylglycerin, Theobroma Cacao Extract*, Retinyl Palmitate, Malpighia Punicifolia (Acerola) Fruit Extract*, Disodium EDTA, Cetearyl Glucoside*, Alcohol Denat, Alcohol, Pearl Powder*, Maris Sal*, Lecithin*, Pyrus Malus (Apple) Fruit Extract*, Chlorella Vulgaris/Lupinus Albus Protein Ferment*, Malic Acid, Zinc Gluconate*, Magnesium Aspartate*, Camellia Sinensis Leaf Extract*, Lactic Acid, Glycolic Acid, Sodium Hyaluronate, Guar Hydroxypropyltrimonium Chloride, Aloe Barbadensis Leaf Juice*, Limonene*, Geraniol*, Pectin*, Citric Acid, Xanthan Gum*, Copper Gluconate*, Sorbic Acid, Benzophenone-4. *Ingredients derived from 100% natural source.